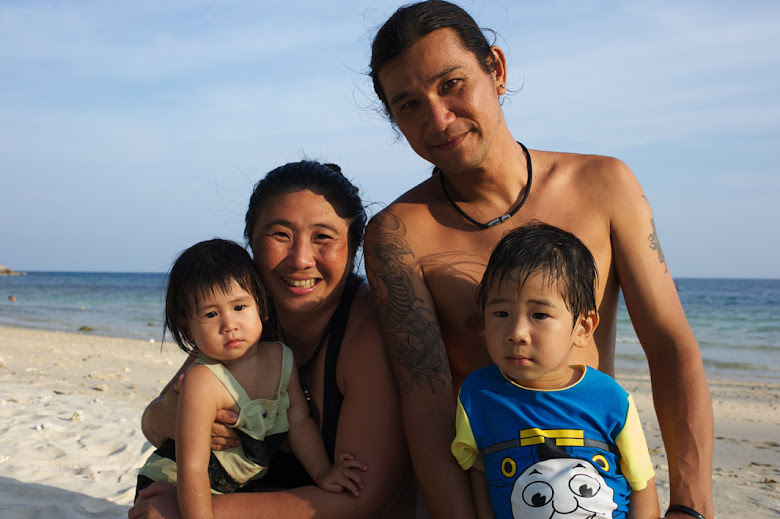 The stories of little beach bums: KJ & KA: My First Swim In the SEA! 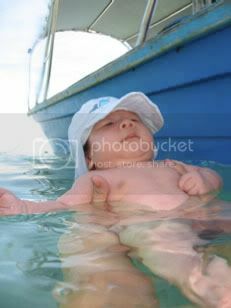 My First Swim In the SEA! One day my papa came back from work, and told mama to prepare me. I don't know what are they preparing me for, but all I know is papa took off all my clothes, and mama wipe some sticky cream all over me, and put on a hat, she said is to protect me from the sun. After that they took me to the sea, I think I am going for my first swim in the sea! Oh boy I was excited! I have been watching the sea everyday thinking when can I go in there like my papa! Papa and Mama finally took me to the sea, it was very nice and warm. Papa held on to me, and I kick the water, it was really fun! As I was enjoying the water, suddenly I felt pain near my tummy! And started to cry, mama and papa quickly took me out of the sea and saw a red patch on my tummy. Mama said it must be some stinging plankton that stung me, but she said never mind I just got my immune system upgraded to another level! Besides the first bad experience, I still love the sea, since then papa took me in for the second time and I loved it, but we have to cut the session short because there were some jellyfish around! Mama said we will go swimming more often once there is no jellyfish in the bay!